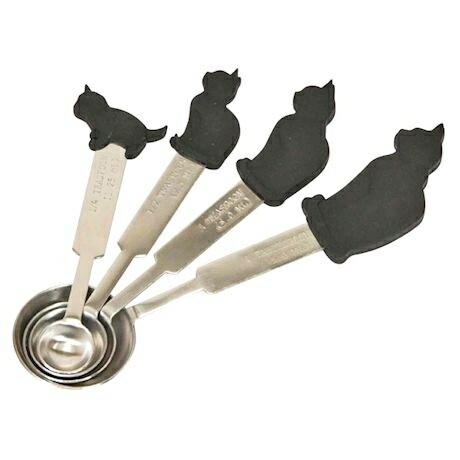 A family of kittens join you in your next cooking endeavor, with different-sized black cats helping you quickly identify the quarter-teaspoon, half-teaspoon, teaspoon and tablespoon in the set. 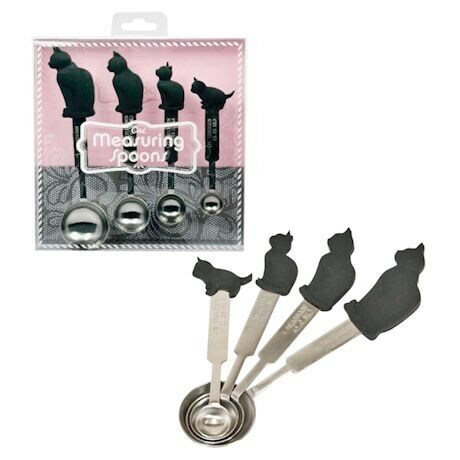 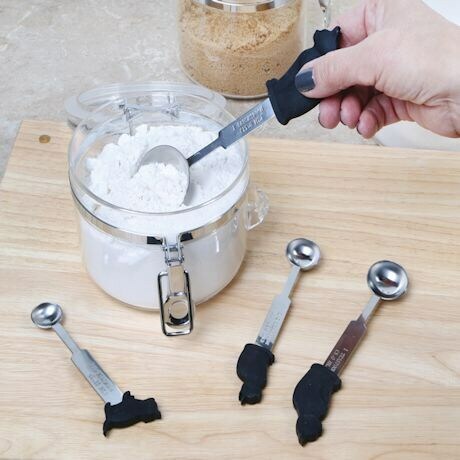 Made of foodgrade silicone and stainless steel; dishwasher safe set of four. 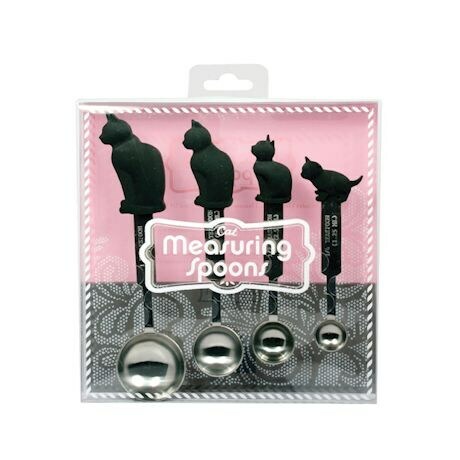 Range from 4¾"-7".